Short summary: The attacker can display arbitrary strings as a toast inside the VR-SecureCARD app. 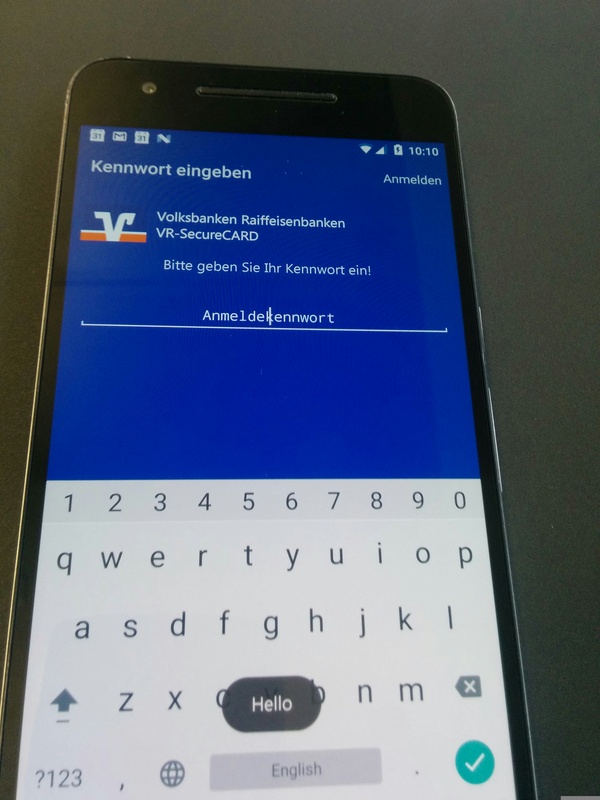 By sending a simple intent, the attacker can start the VR-SecureCARD app and display arbitrary text as a toast on top of the normal app. To the user, this text looks like a normal and legitimate notification from the app, which allows for phishing attacks. am start -n de.fgi.ms.vrsecurecard/de.coronic.cor03.client.android.ui.starting.StartingActivity --es "InitialToastMessage" "Hello"
Do not trust toasts from the VR-SecureCARD app. Do not allow untrusted data to be displayed as a toast.